Clean the leather first using the Leather Ultra Clean. Spray the Ultra Clean onto a Terry Towel and give the grease stained area a thorough clean. If the grease stain has built up over years of use (where you rest your head or hands) you should soak the leather in the Ultra Clean and squeeze the leather through the Terry Towel. This will absorb a larger amount of grease into the towel saving the amount of Degreaser used. Using a paint brush, spread the Degreaser onto the stained area and allow it to dry (drying will take up to 30 minutes). As the product dries it will slowly absorb the grease - you will see this happening as the Degreaser will dry to a brown/yellow colour where it absorbs the grease, everywhere else will dry to a white colour. Once the grease has been removed the leather may need re-colouring. To do this use a Leather Re-Colouring Balm. Then, to stop grease being absorbed again, use the Leather Protection Cream once every three months for thorough grease stain protection. Note:BiCast (a very shiny and plastic like leather) can react with the degreaser and cause it to stick to the surface. 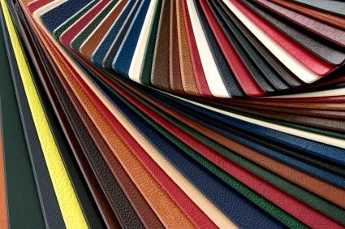 BiCast leathers will always need to be restored afterwards using a Leather Colourant Kit. The Re-Colouring Balm will not work on BiCast leather. 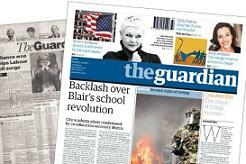 The Guardian Newspaper run a Questions & Answers section where readers write in and ask experts advice on various problems they have around the home. One user wrote in asking how to remove greasy hair marks from leather and the Newspaper recommended Furniture Clinics Leather Degreaser as the product to use to remove grease stains from leather. Thank you so much for this – what a brilliant product. It has totally removed the large oil stain on our sofa, absolutely fantastic.